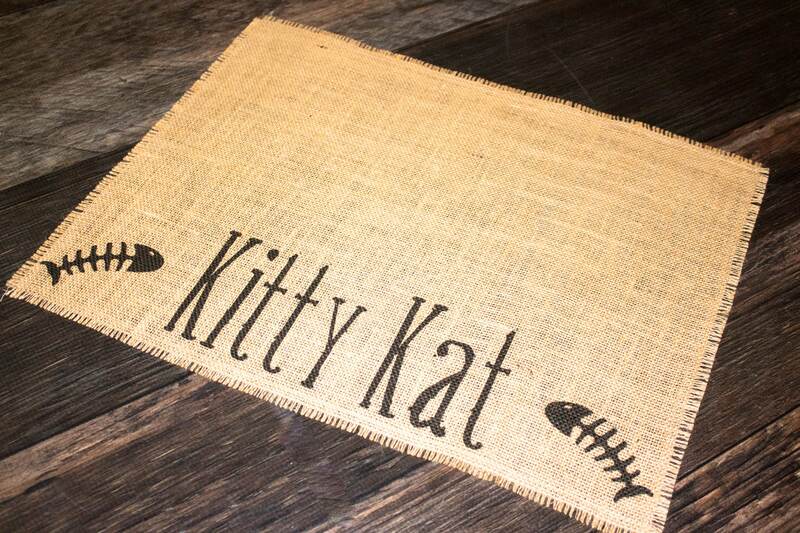 Cats are our loyal companions, even if it's on their own terms. 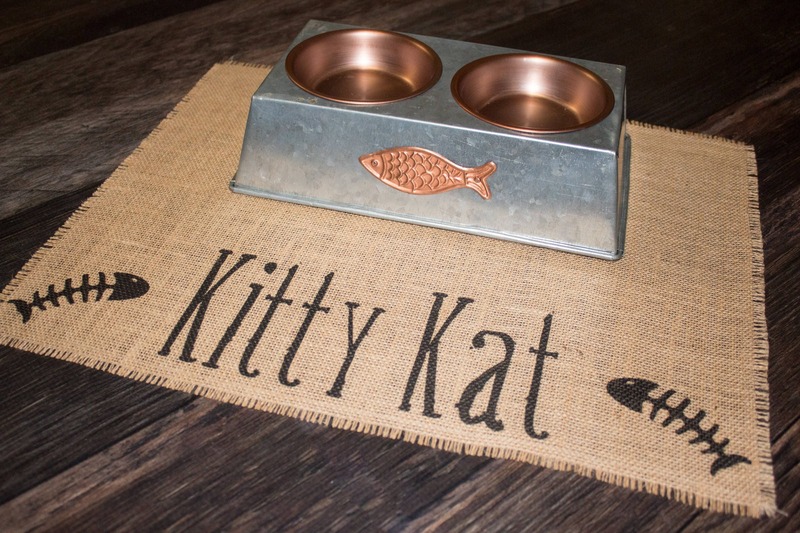 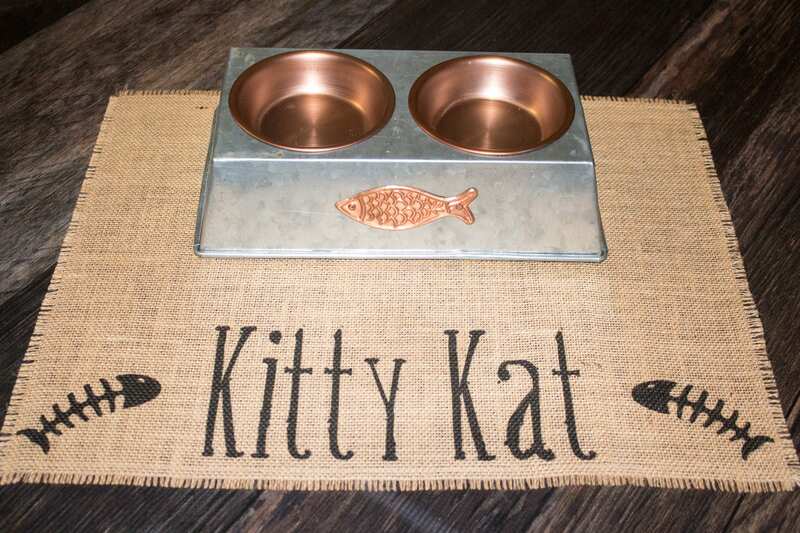 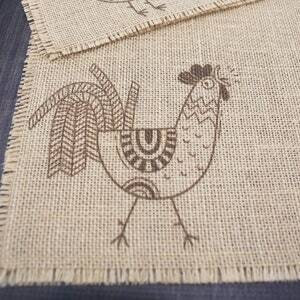 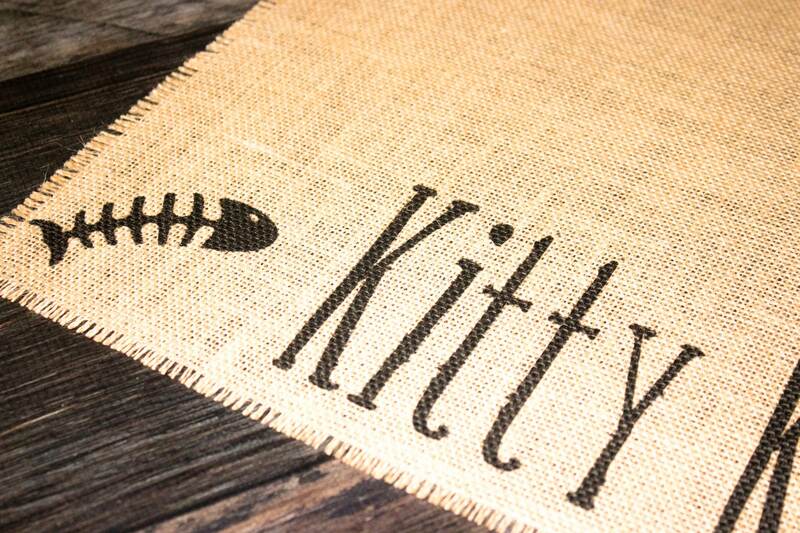 Treat kitty to a fancy dinner by giving them their own personalized placemat to place under their cat food bowl! 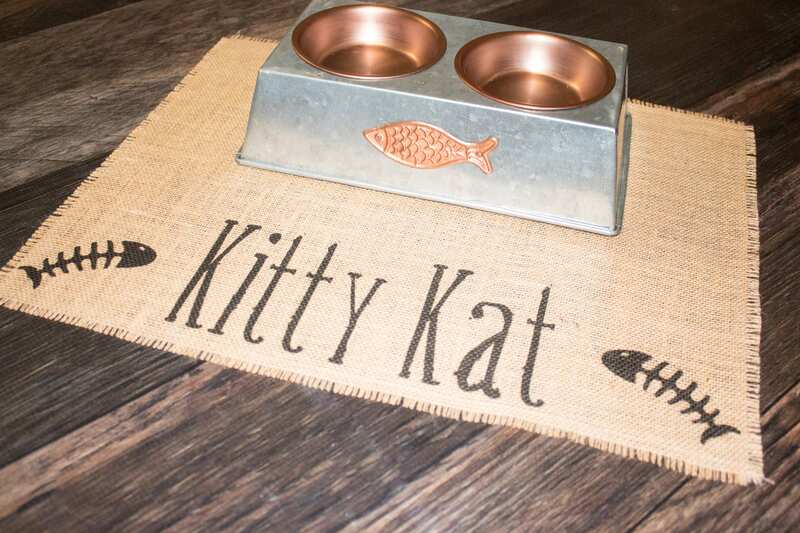 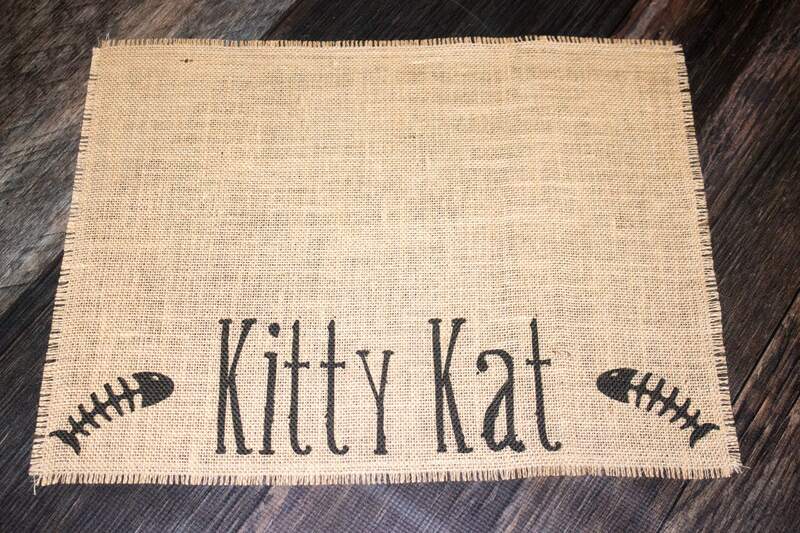 Custom made with your kitty's name between the fish bones, it also makes a great gift for cat lovers. 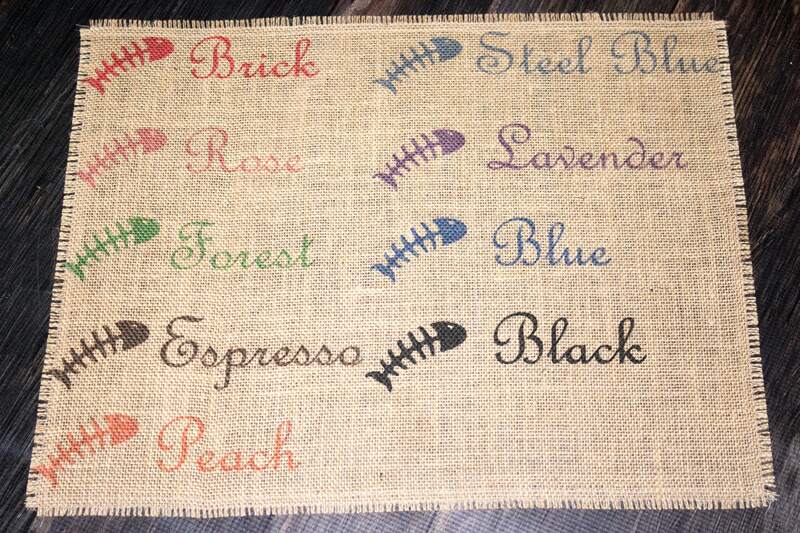 Choose from black printing or a variety of colors! 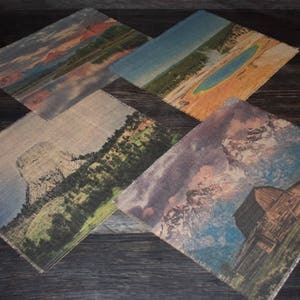 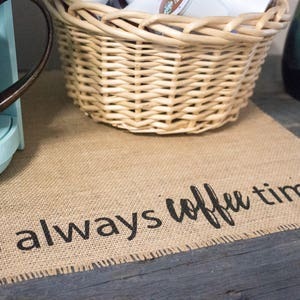 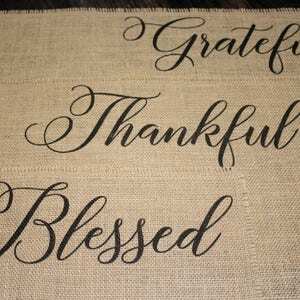 Since burlap blends with so many decorating styles; shabby cottage chic, farmhouse country, western ranch, contemporary rustic, it's sure to fit nearly any home decor. 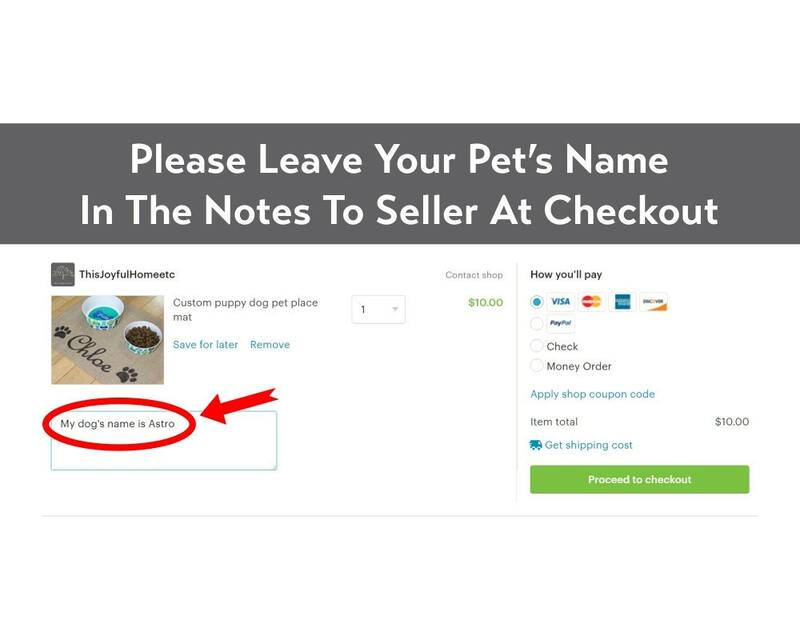 Please be sure to enter the name you want printed between the fish bones in the "personalization" box at checkout!